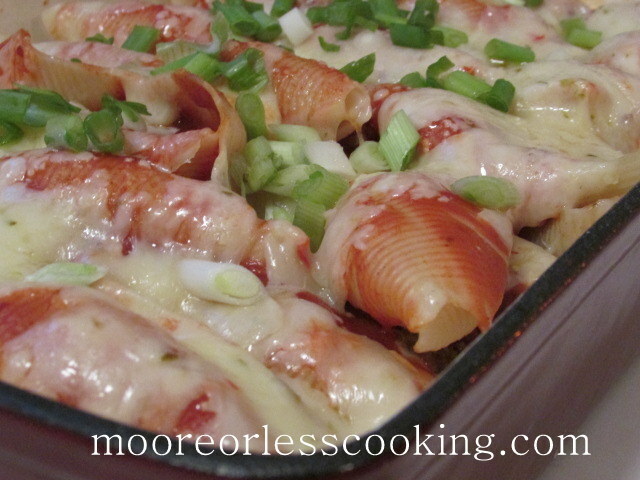 A delicious comforting Mexican Stuffed Pasta Shell Casserole. Served with Green Onions, Black Olives, Sour Cream and Cholula Sauce. Make it in under and hour. Perfect for a Cinco de Mayo party or just for your family. Everyone will love it! I am crazy about Mexican Food! I could eat it every day! Tacos, Burritos, Enchiladas, Tamales, Taquitos, and more! It’s a fiesta with all of the delicious flavors of onions and garlic, cilantro, salsa, hot sauce, cheese, makes it a winning dish! It’s PASTA PALOOZA MONTH!! A group of bloggers and I are sharing pasta recipes this month. 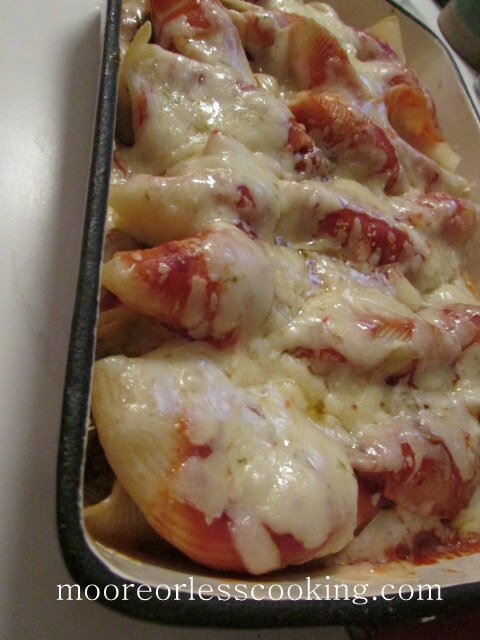 I have been wanting to make Mexican Stuffed Pasta Shells, and am so excited to share the recipe with you! 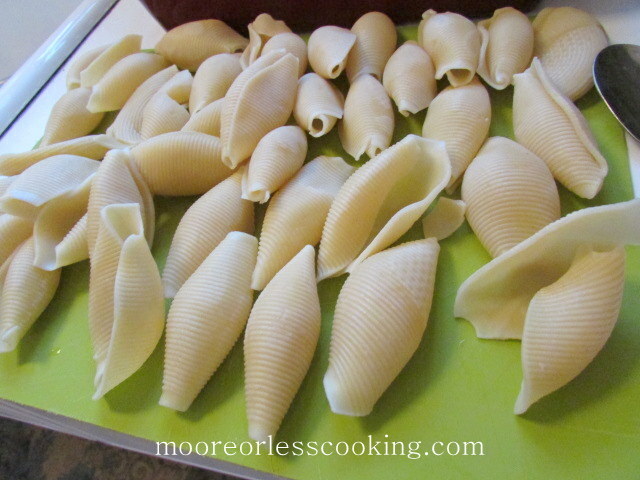 Cook Jumbo Pasta Shells, drain and lay flat on a cutting board, so that they don’t stick to each other. 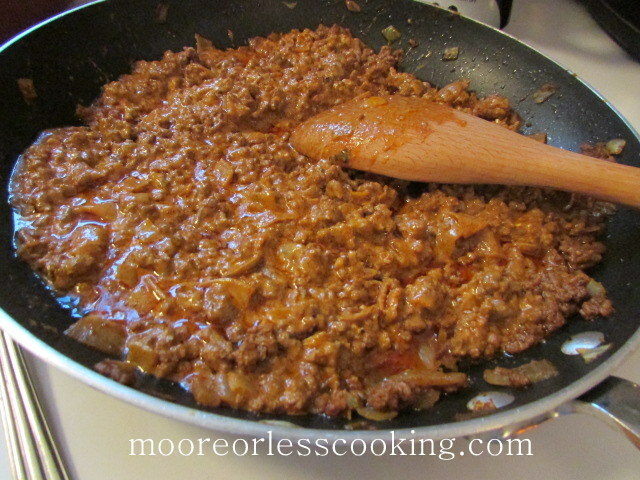 Saute onions, add ground beef, cook until brown, drain. Add Taco Seasoning. Add Cream Cheese. 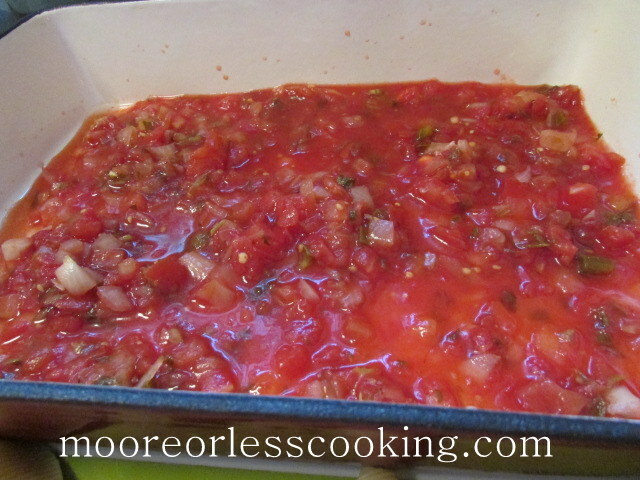 Pour jar of salsa in a baking dish. When meat sauce and shells have cooled off, stuff shells with meat sauce. Cover with taco sauce and Cheese. 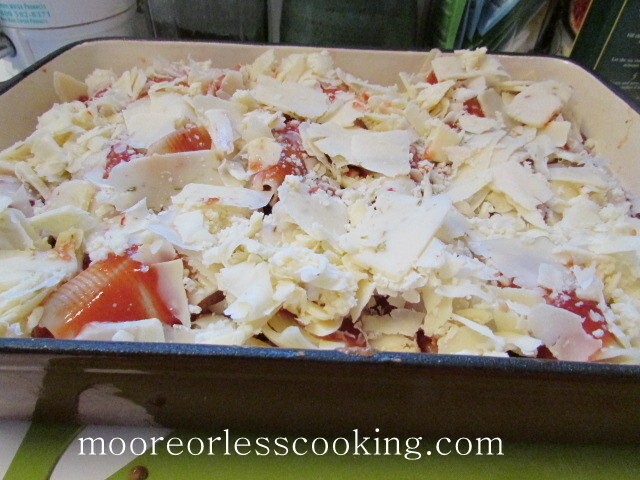 Bake in the oven until cheese is melty bubbly hot. 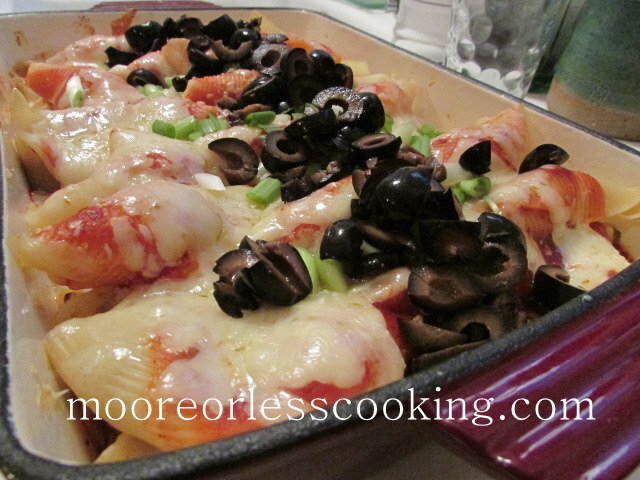 Sprinkle sliced Black Olives over Stuffed Shells. 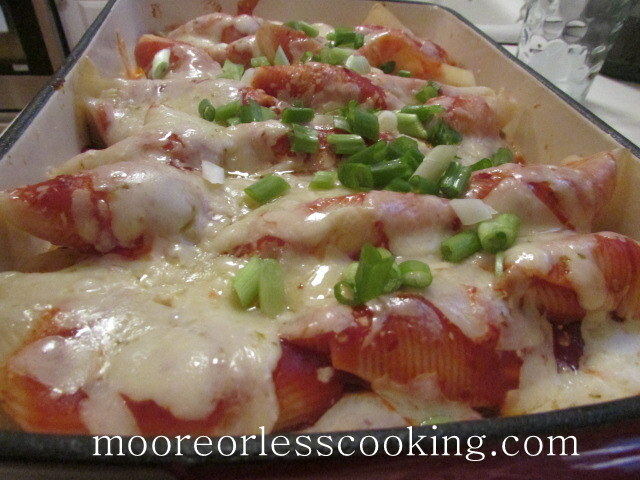 A delicious Mexican pasta dish! So flavorful ! In a frying pan cook ground beef; add taco seasoning and prepare according to package directions. Pour salsa on bottom of 9×13 baking dish. Stuff each shell with the meat mixture. 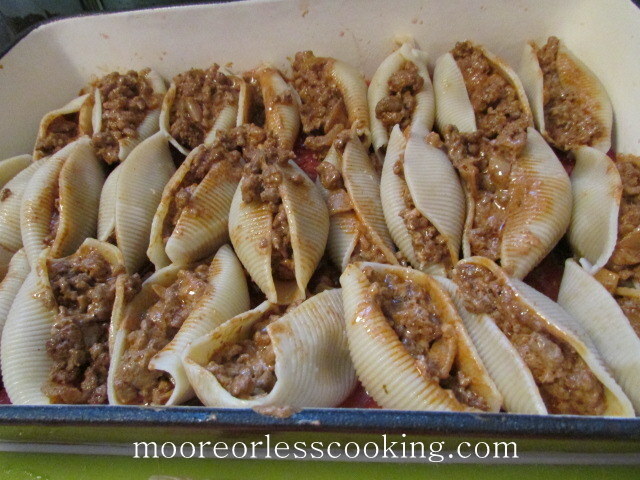 Place shells in 9×13 pan open side up. Serve with sour cream and/or more salsa. Scroll through the delicious Pasta Recipes! This looks delicious Nettie Pinned and shared! Wonderful idea. I, too, love Mexican. Using shells is creative. I can’t wait to try this, looks absolutely delicious!